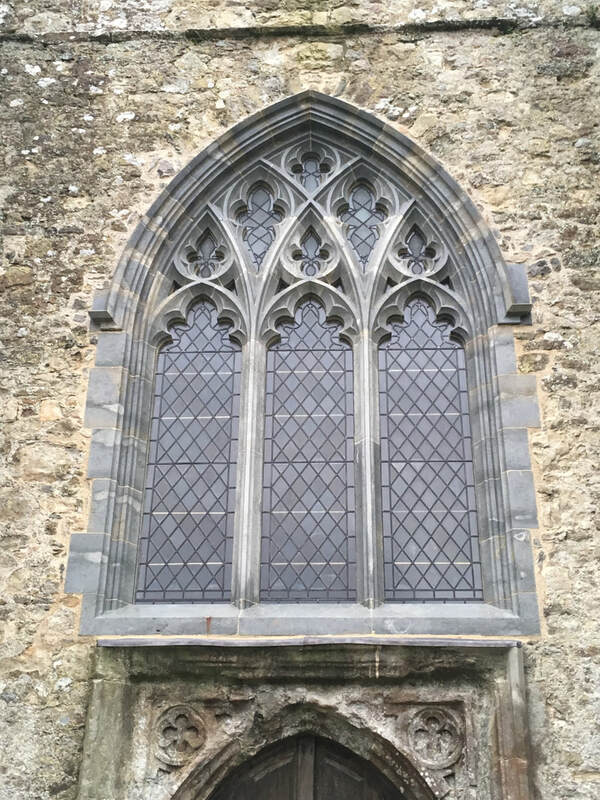 The West Window of St George's dated back to the 15th century. 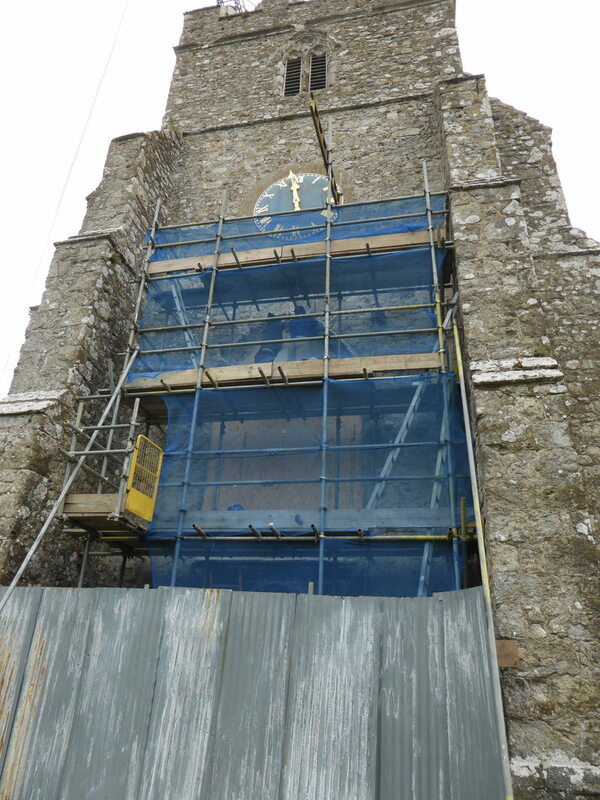 Over the years it had frequently been patched with repairs being carried out in situ. 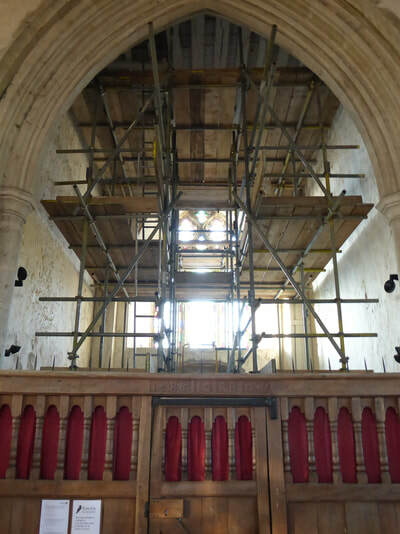 Following storm damage in 2008, it was noticed that its condition had deteriorated to such an extent that major restoration was required. 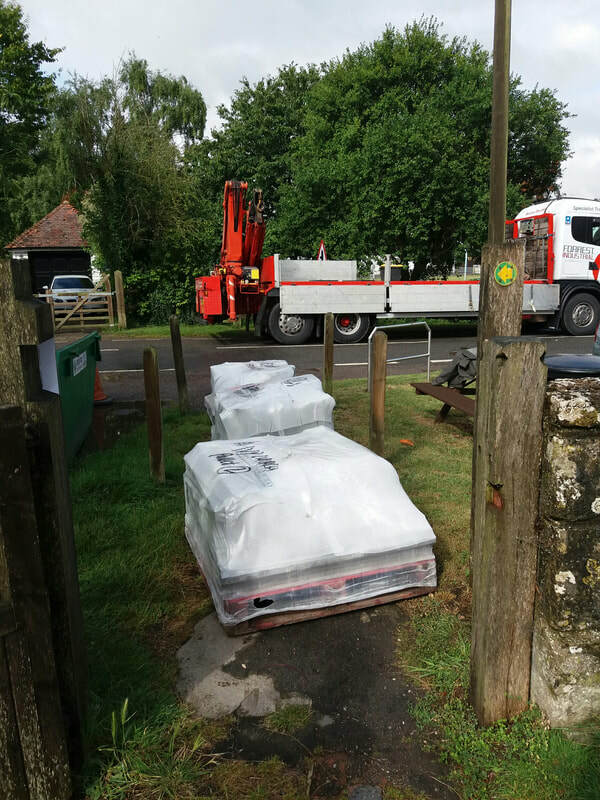 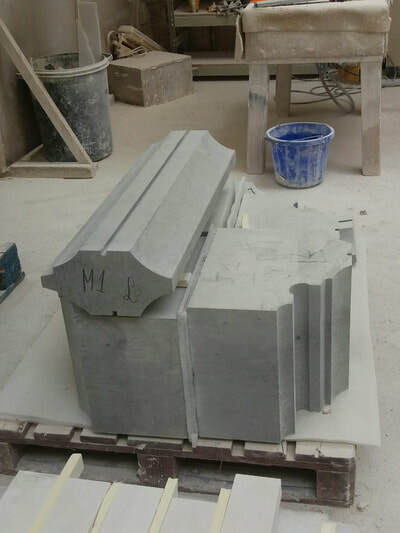 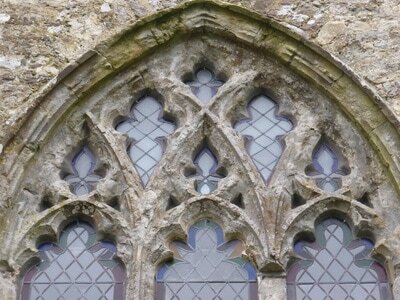 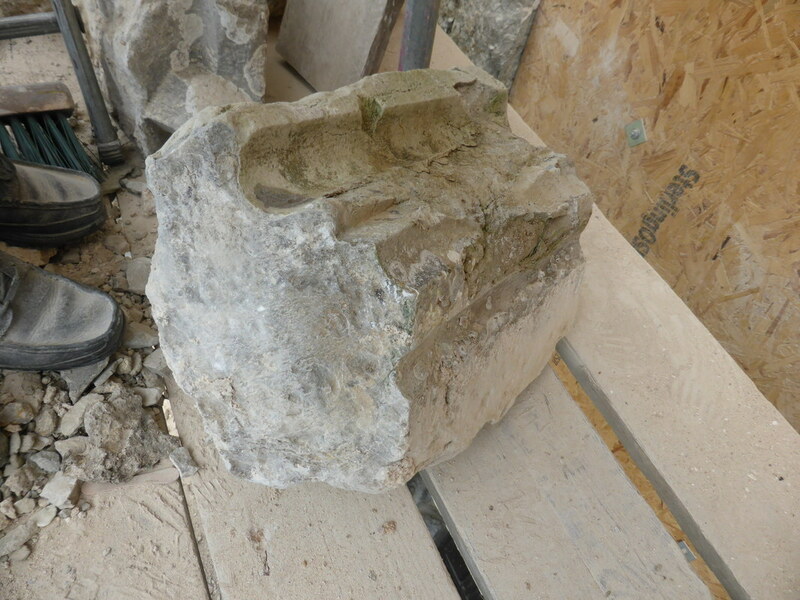 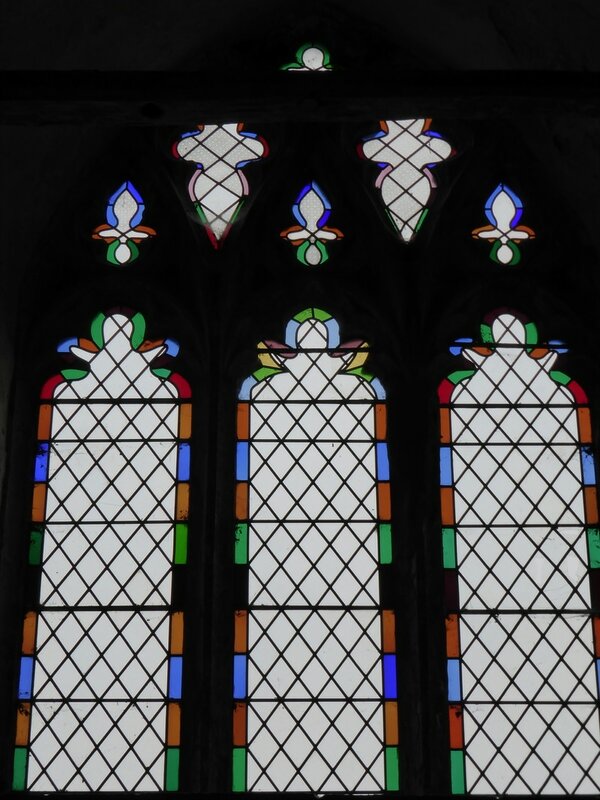 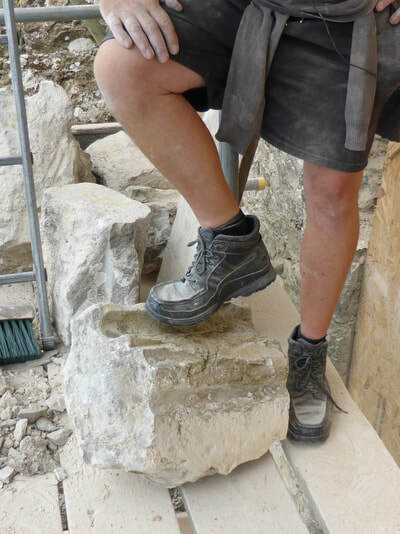 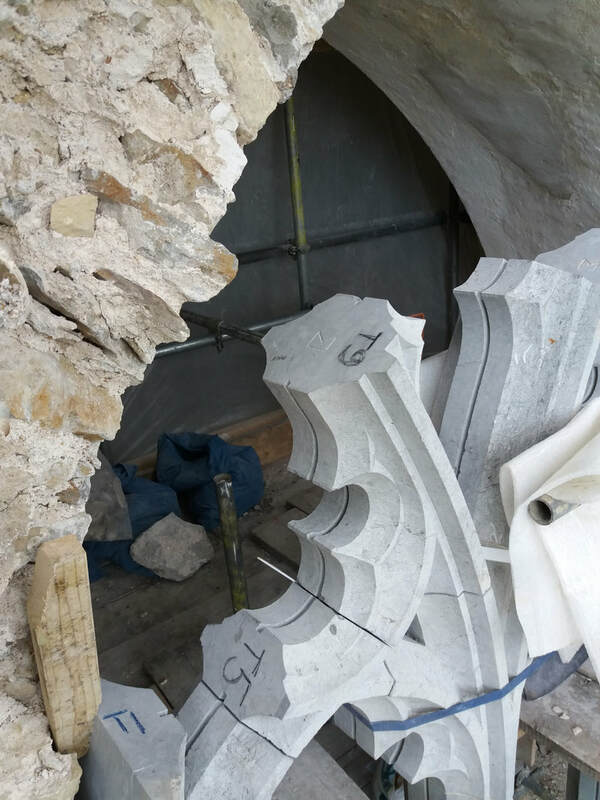 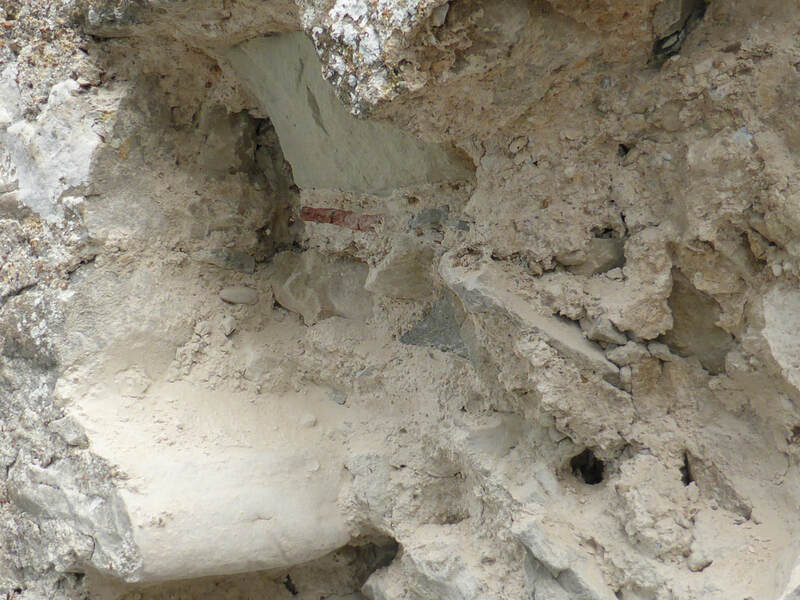 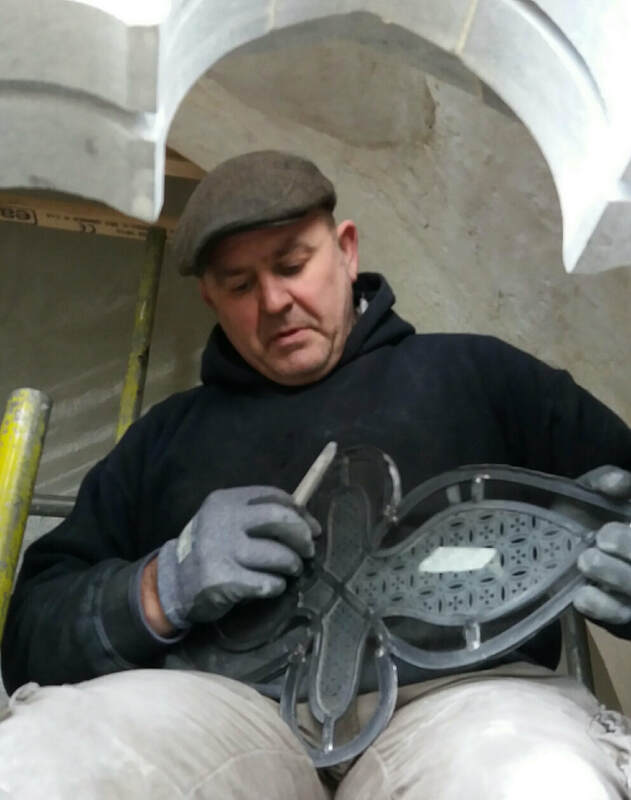 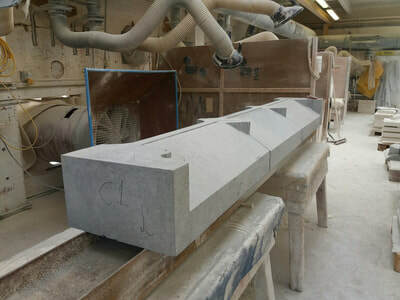 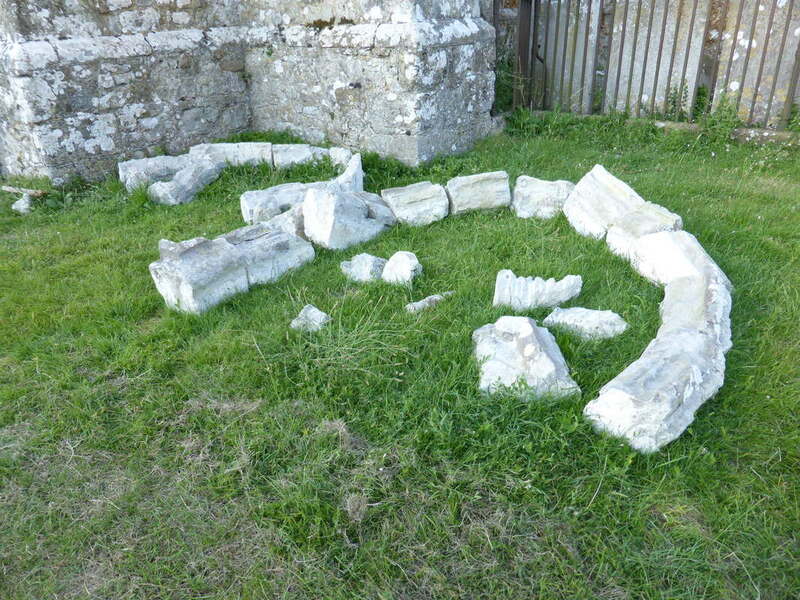 Following many delays, partly due to difficulty in locating a good quality seam of ragstone to match the original window stone but also due to finding sufficient funding, the go ahead to proceed was finally given in 2016 thanks to funding from both the Heritage Lottery Funding and The Romney Marsh Historic Churches Trust. 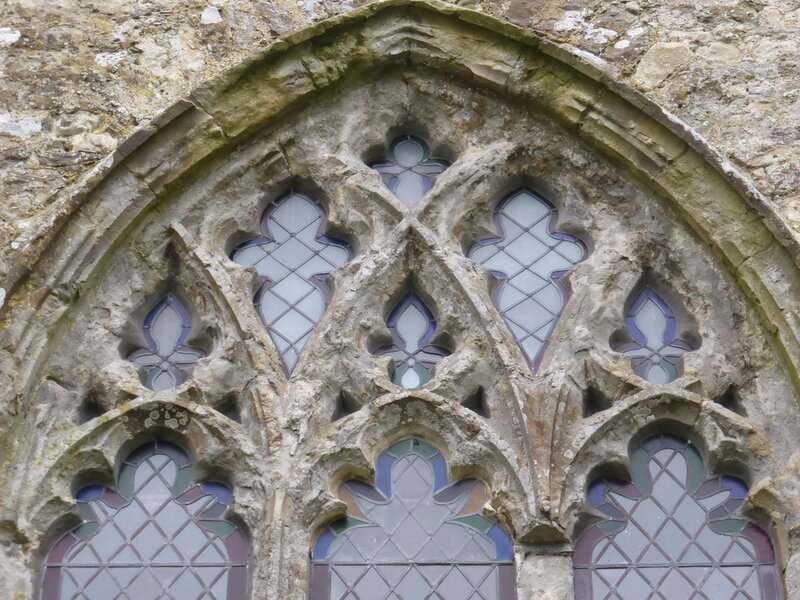 The state of the window was such that the mullions and tracery needed completely rebuilding while the hood moulds and outer frame stones also needed replacing. 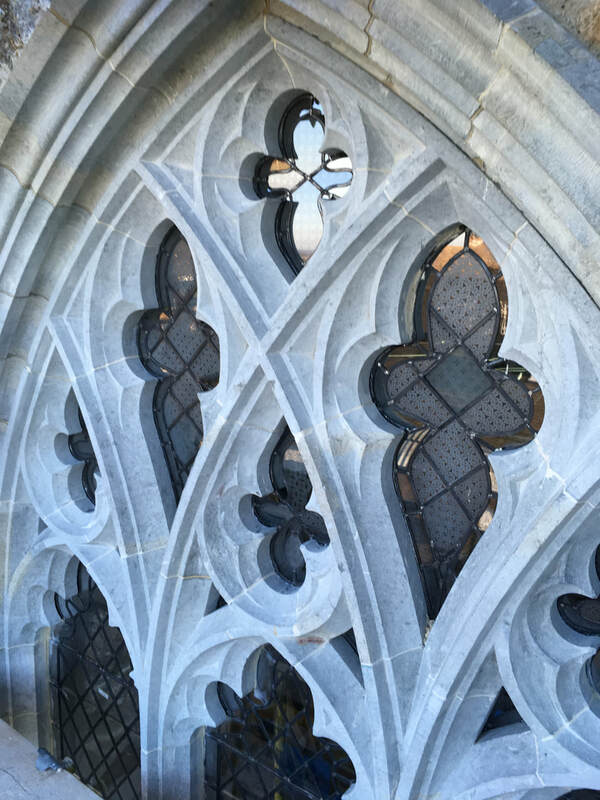 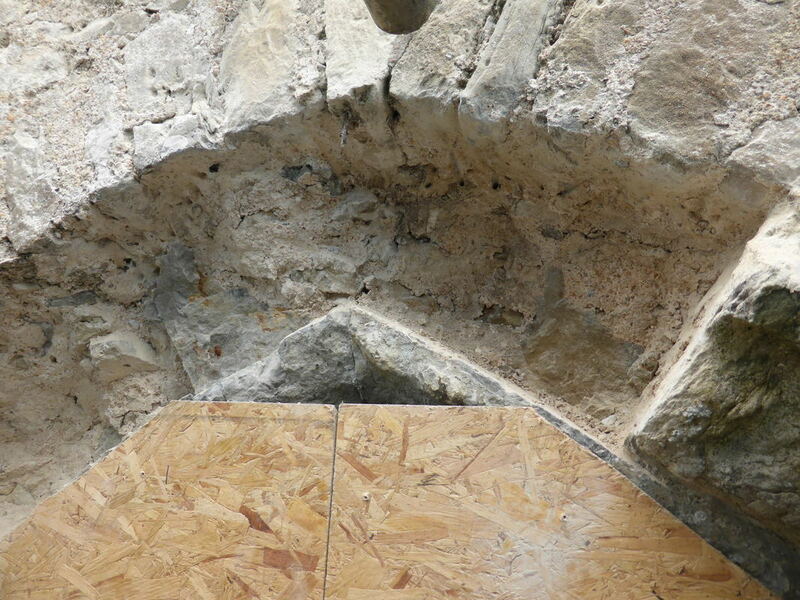 While some stones were technically in sufficiently good condition to be retained, it was decided that to keep them, while replacing other stones completely would create a structural imbalance in the window. 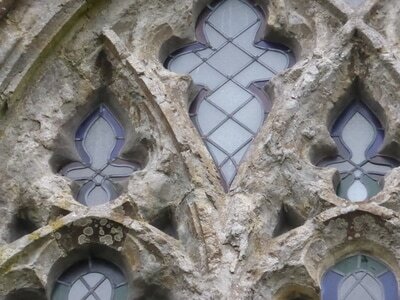 Therefore the decision was made for the window to be fully restored using new Kentish ragstone. 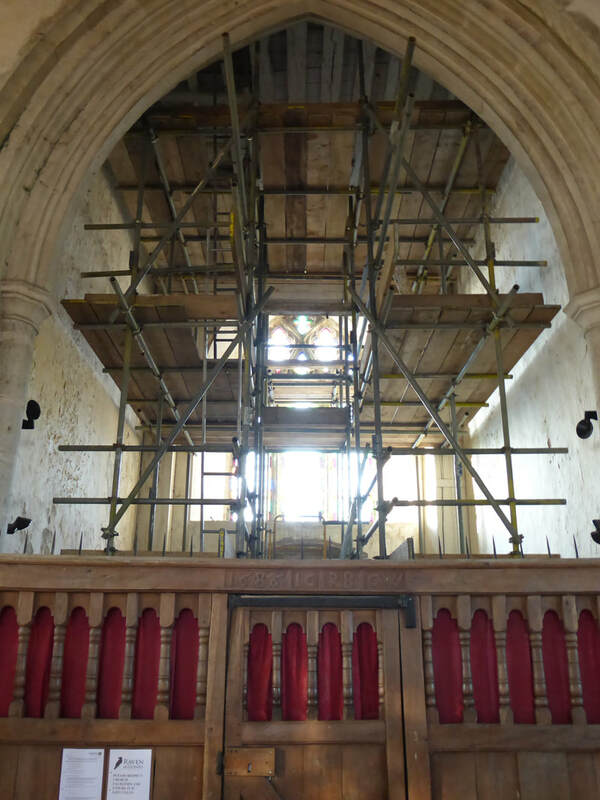 This was the first a medieval church window was to be completely removed for restoration within the Diocese of Canterbury. 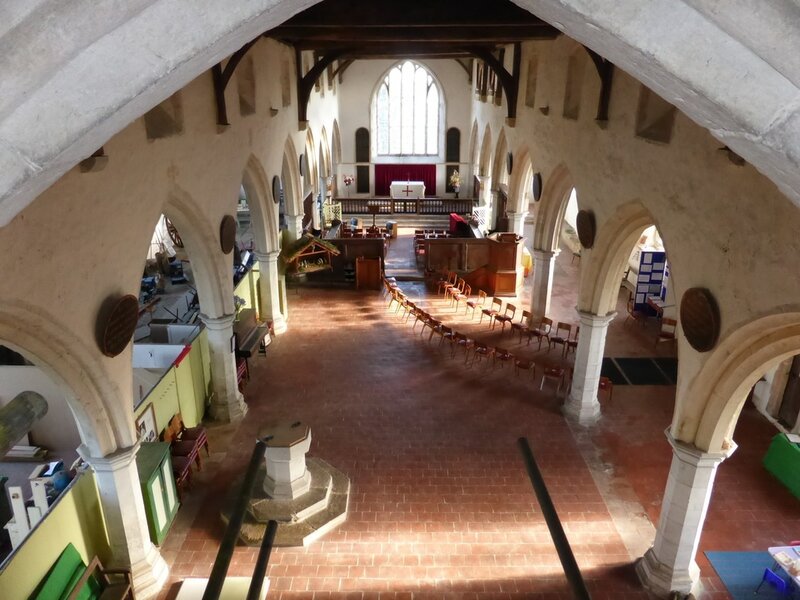 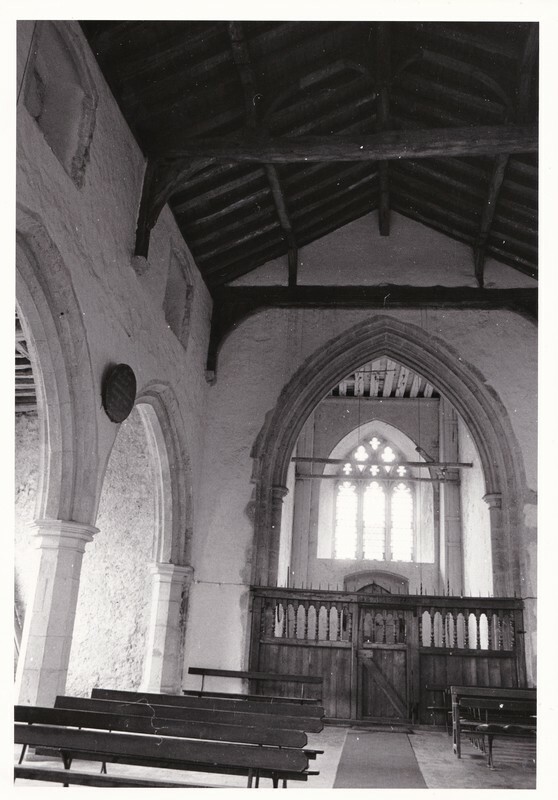 Funding was provided by the Heritage Lottery Fund, The Romney Marsh Historic Churches Trust and by local fund raising and this also included the installation of kitchen and toilet facilities in the church. 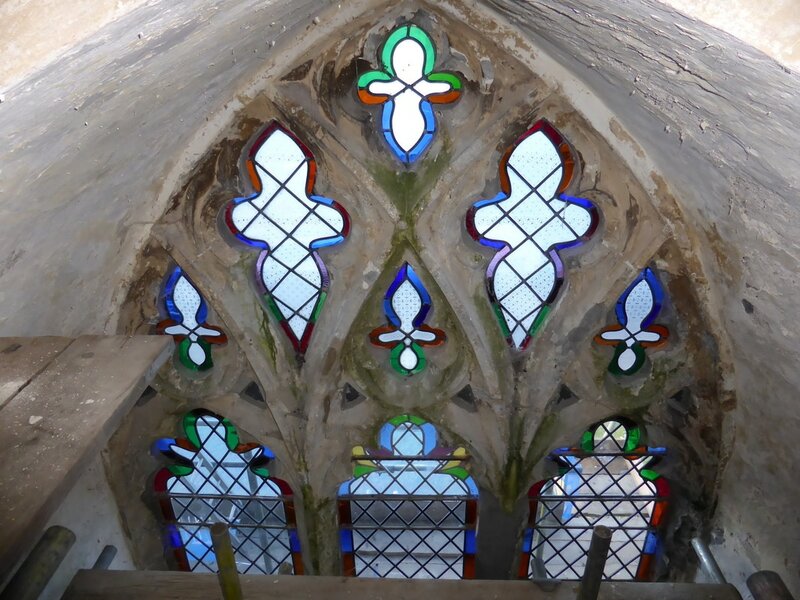 It was also decided to replace the coloured poor-quality window glass which had been installed some time in the 1970s and replace it with better-quality plain glass. 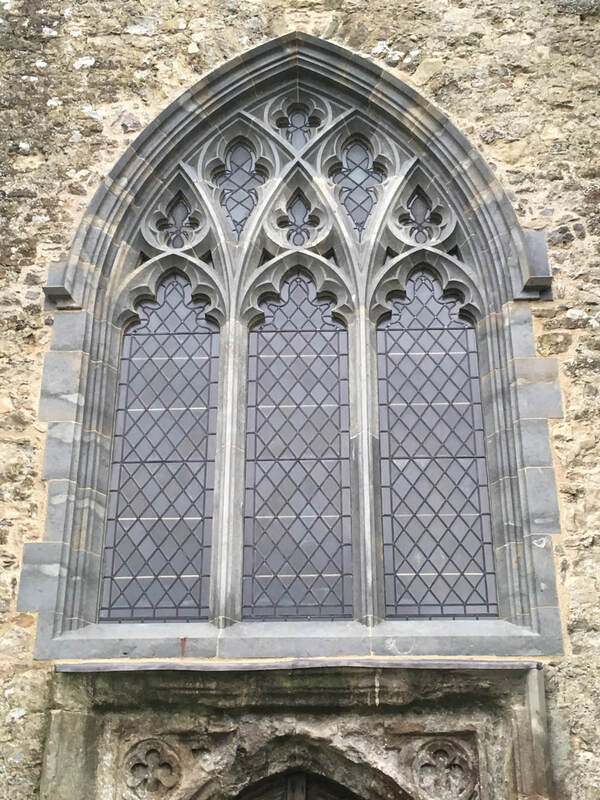 Work began in January 2017 and all work was finally completed by December of that year when the new window glass was installed.